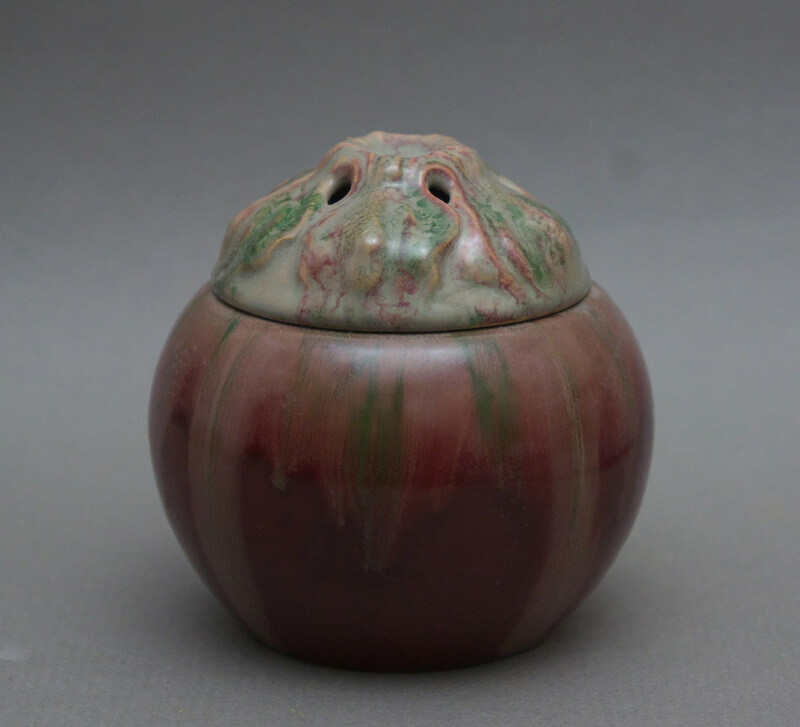 A Michael Andersen stoneware ‘Dania’ censer and lid, the spherical body decorated in a thick red glaze with a lid molded as flower petals. 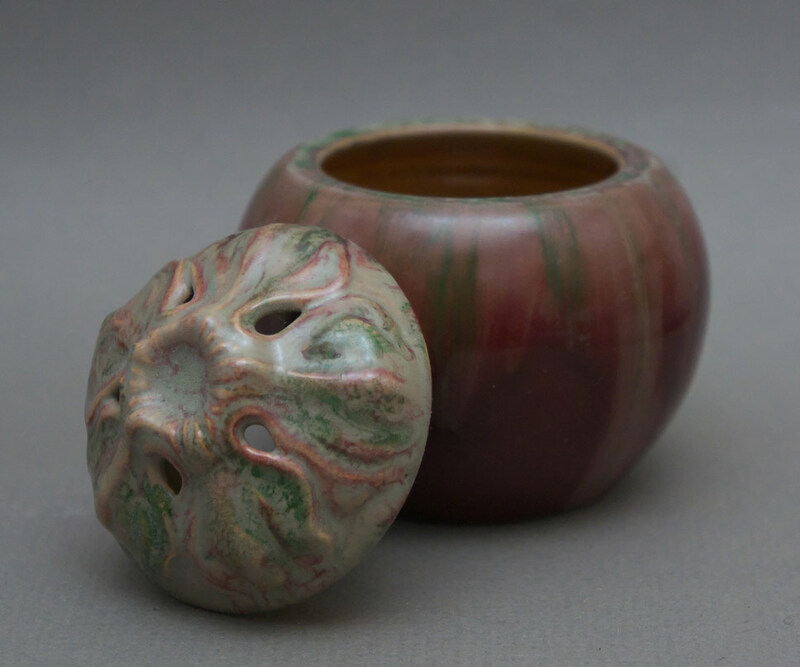 Lid glazed in an unctuous greenish buff tone. Marked ‘MA & S’ and ‘Danmark’ on the foot and incised ‘1456’. Height 3-1/2″. Circa 1920’s. 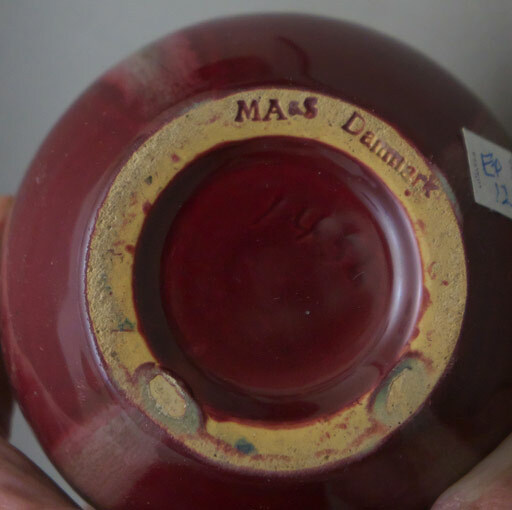 A collection of art objects amassed over 40 years in the antique trade.